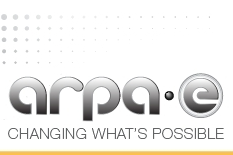 The U.S. Energy Department’s Advanced Research Projects Agency-Energy (ARPA-E) awarded two University of Maryland (UMD) research teams over $5 million in funding to improve power plant cooling technologies. The UMD projects are two of 14 funded as part of a $30 million investment by ARPA-E's Advanced Research in Dry Cooling (ARID) program to spur transformative new power plant cooling technologies such as innovative, ultra-high-performance air-cooled heat exchangers and supplemental cooling systems and/or cool-storage systems that can cost-effectively and efficiently reject waste heat. The first project, "Novel Microemulsion Absorption Systems for Supplemental Power Plant Cooling," aims at developing an absorption cooling systems for power plants which utilizes a novel microemulsion liquid absorbent. Led by Department of Mechanical Engineering Associate Professor Bao Yang, the project's UMD co-principal investigators include Professor Michael Ohadi and Minta Martin Professor Reinhard Radermacher, who is also the director of Maryland's Center for Environmental Energy Engineering (CEEE). The team will also work with partners at Stony Brook University, the Electric Power Research Institute, WorleyParsons Group and Rocky Research. "It is a team effort," Yang said. "Each partner has unique technical expertise to bring to this project." Yang's team and its partners will utilize a novel microemulsion liquid absorbent, recently invented by the researchers at UMD for use in absorption cooling systems for power plants. These microemulsion absorbents can absorb water vapor (refrigerant), and release the water as liquid during desorption, thus achieving a high coefficient of performance. Waste heat from the power plant flue gas will drive the microemulsion cooling system to provide supplemental cooling below the ambient temperature. The second project, led by Professor Michael Ohadi, "Novel Polymer Composite Heat Exchanger for Dry Cooling of Power Plants," also targets improving power plant cooling technologies through the development and application of new composite heat exchangers that use a low-cost, high conductivity medium encapsulated in a polymeric material that is highly durable, low cost and has a high resistance to corrosion. Ohadi's UMD team includes Professor Hugh Bruck, Associate Research Scientist Dr. Serguei Dessiatoun and Assistant Research Scientist Dr. Amir Shooshtari, who will serve as co-PIs, along with Professor Joshua Pearce at Michigan Technological University, Dr. Arun Muley at Boeing Research and Technology, Huntington Beach, Calif. Dr. Justin Zachary at ExperTech Engineering Corp. will serve as consultant on the power plant feasibility studies and serve as the link between the project and the power plant community. The team's novel polymer composite heat exchangers for indirect air cooling of power plants are superior to current state-of-the-art metallic heat exchangers in terms of cost, performance, lifespan and corrosion resistance. In addition, the team can keep production and assembly costs low by using onsite additive manufacturing (3-D printing) technologies. Both Yang and Radermacher are also part of two additional ARPA-E funded projects awarded in December 2014 as part of a new federally-funded research initiative to design and create personal technologies for keeping individuals comfortably cool or warm, while shrinking the energy needs of the buildings they occupy. Yang, Ohadi and Dessiatoun are faculty in the Center for Environmental Energy Engineering (CEEE). In addition, Yang, Ohadi and Radermacher are also members of the University of Maryland Energy Research Center (UMERC). CEEE is a leader in both research and education in environmentally responsible, economically feasible integrated energy conversion systems for buildings and transportation, with research emphasis on air-conditioning, refrigeration and heat pumping and integrated cooling heating and power systems. UMERC is a multidisciplinary initiative dedicated to advancing the frontiers of energy science and technology, with a special focus on forward-looking approaches for alternative energy generation and storage.